Posted on December 18, 2013 December 23, 2013 Author seikoWhy So Serious? 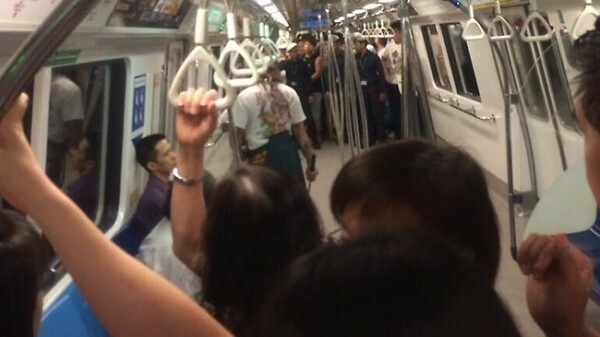 So, yesterday in sunny Singapore, a man was found dressed up as a samurai carrying a katana and “terrified” commuters on the local subway. Police confirmed that the man is 39 years old Peter Chua, and Yahoo News have linked him to a Facebook profile of one Peter Chua whose biography reads “a master swordsman who teaches Japanese swordsmanship” and a “tattoo artist”. 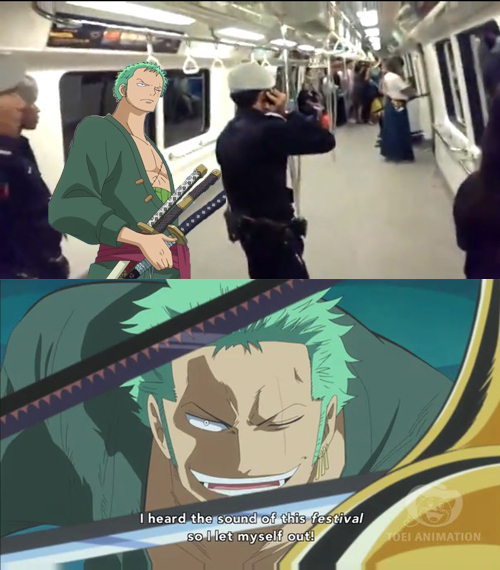 We will just call him the Subway Samurai. 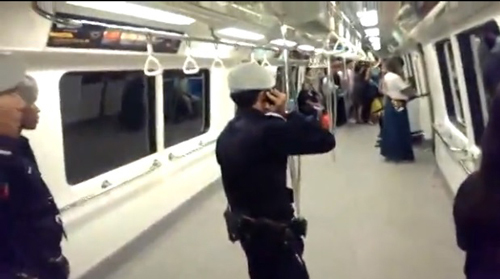 Eyewitnesses said the police approached the Subway Samurai on the MRT but he shouted at them and even unsheathed his samurai sword as a threat. We suspect that this was due to his poor sense of direction and that he must have been in a foul mood. It is a pity our policemen don’t fight with swords too. The Subway Samurai was later detained. 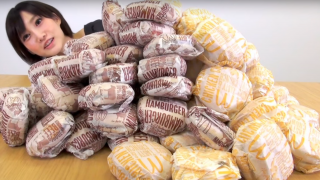 The real question what we at Otaku House is concerned with is: Who do you think will win in a sword fight? 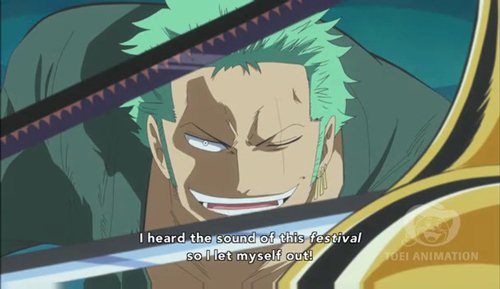 Oh, Zoro! You’re so funny. 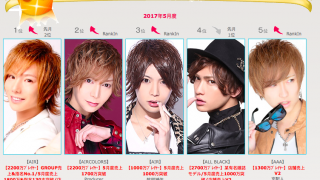 Next(Update) Otaku House Cosplay Idol: Should This Be Allowed?